Our company has been operating at Tremblant for 15 years and we pride ourselves on great service and quality excursions. All of our guides are certified by the association and are fully bilingual. We use only the latest equipment to ensure our guests have the best experience. We offer an optional transport shuttle service for activities and our group sizes are deliberately kept small to ensure all our guests have a personal and memorable experience. 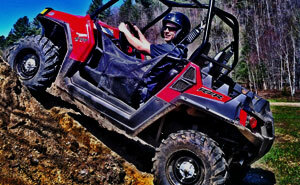 "We offer you the best adventure packages in the Laurentians"